Well my Leap Motion finally arrived today, and my girlfriend and I had a bit of fun with it. When I ordered the Leap Motion, I thought it looked unbelievable. Possibly a revolutionary new way to interact with our computers. As the waiting stretched out, however, I watched more videos – tech demos and the like – to keep myself occupied while I waited. That’s when I first started to see the cracks. Fingers couldn’t be registered unless close to parallel to the device, slight delay on movements, and “misses” when using the interface. So by the time it arrived, I had a pretty good idea what to expect. It delivered on that. I know quite a few people are very disappointed: https://forums.leapmotion.com/showthread.php?2703-Unimpressed-is-an-understatement, but I’m not. My hopes just weren’t as high as they originally were. Don’t get me wrong. The Leap is miles ahead of the Kinect or Move. The originals, certainly, but I’d also wager the new ones coming with the PS4 and XBone will be nearly as useless as the originals. The apps that are designed to use the Leap (basically the little games and things in the Airspace store) all work quite well. It takes a little getting used to. My ideas basically revolve around cleaning up the interactions. At the moment they seem too wielded to an “invisible touch screen” floating between you and your monitor. It’s pretty annoying and inaccurate to try and break this plane with just the tip of your finger to get the “click” to work. I’d much prefer to see more intuitive ideas implemented. A whole new interface is one common suggestion (i.e. something more like Windows Metro interface) but I think you could, with clever programming, get the Leap working in Windows 7 too. For example a pinching or fist gesture to “grab” a window, so you can move it around. Some ray-casting so you can point at what you want to click, rather than having to “hover” your finger over it. A real “click” gesture, rather than the crude “jab”. Or at least, base the “click” off the acceleration of the finger, not whether it is breaking an invisible plane. And don’t give me any of this malarky about the Leap being unable to recognise a fist. Natively, perhaps. It seems to look for “sticks” and a “thicker stick” for fingers and a hand. But if the fingers curl up and disappear, and you’re left with just your original, shorter, stick — surely the user just made a fist? Besides. It’s just an infrared camera. Unless some of the latency trickery is built directly into the Leap hardware, can’t we have it recognise a fist along with fingers and arm? My point is – these problems are fixable with clever software. Whether that is Leap Motion improving their Leap drivers, or 3rd party devs making customised recognizing algorithms, I think it’s doable. It will take a few months or maybe even a year or two, to really iron out. 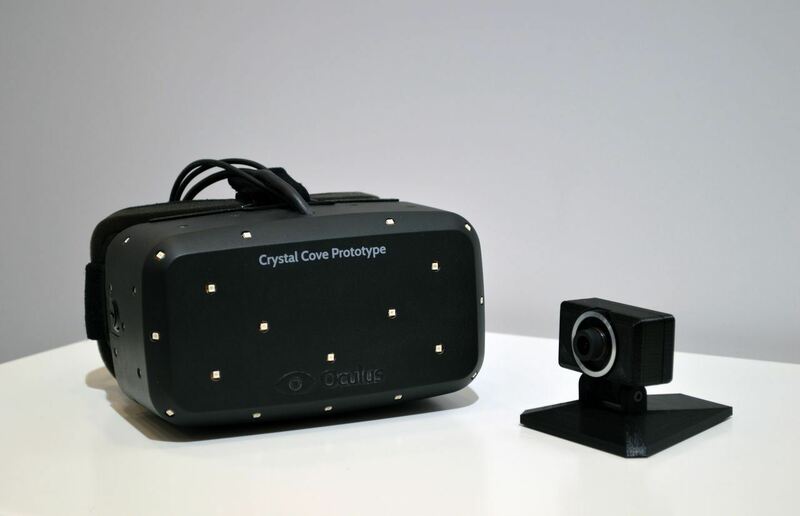 Of course, the main reason to get a Leap, is so you have an interface for the Oculus Rift. 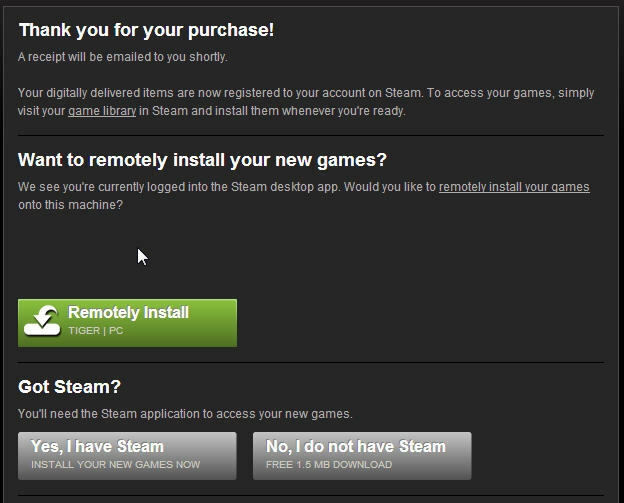 Steam Allows You to Remotely Install? Since When!? You see, I happened to leave my home computer turned on this morning. I had often bemoaned any new games I bought during the day wouldn’t be installed by the time I got home. If I planned well enough, I could remote into my home PC and kick off the install.